Slots Heaven is part of the Mansion Group of Casinos, licensed from Gibraltar and the UK and in operation since 2013. This UK slot site runs on the Playtech platform and offers 100s of top quality slots including a vast array of jackpots, as well as RNG table games and a live casino. They also have a wide selection of payment options, including Paypal and BOKU, and now you can play on their slick mobile app for Andoid and iOS too. If you like the sound of this you can join today and claim a 100% match bonus and 200 spins with your first deposit. Whilst here at The Slot Buzz our preference is for casinos with a wide selection of games from multiple suppliers, we know that this set up is not always the case and some operators like to team up with just one partner. And if that is your choice, you better make it a big one. Well, they don’t come much bigger than Playtech. What you get here, if you sign up with Slots Heaven, is access to the very best of this top tier game provider’s back catalogue. That includes all those great Marvel Comics games like Dark Knight, Superman, Green Lantern, Batman and Batgirl, Batman and Cashwoman, and lots more. 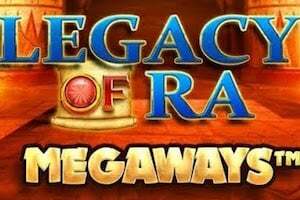 Check out the full list of jackpot slots like Pharaoh’s Treasure, Great Blue Jackpot, Age of Gods, Frankie Dettori, Pink Panther, Land of Gold and Bounty of the Beanstalk. Elsewhere there are branded games like Million Dollar Man, Who Wants to be a Millionaire, Deal or No Deal, and Britain’s Got Talent. All in this is a very respectable and varied game catalogue from one of the world’s best slots suppliers. Lots to get your teeth into and well put together with a decent menu filter to find the game you want quickly enough. The welcome package from Slots Heaven comes with a mix of free spins and deposit bonus. You will need to deposit a minimum of £20 to claim the full package. 100% Match Bonus Up To £100 – So start out by getting 100% extra when you deposit £20 or more. Your bonus will be a non-redeemable amount that must be wagered 40x before you can withdraw any funds. Check the site for the game weightings as some will count more than others towards the WRs. When you’re betting on slots note as well that the maximum bet is £5 per spin. 200 Extra Spins on Age of Gods Series –Games like Age of Gods – Ruler of the Sky are a very popular part of the Playtech games catalogue. Here you get 200 extra spins to try them out. You must make your first deposit £20 or more to qualify. Your spins will come as 40 on deposit and 20 per day for the next 8 days. Note – any winnings from your wagering will come as bonus funds and must be turned over 20x before a withdrawal can be made. Happy Hours –Using the code HAPPY when you deposit between 7pm and 9pm each day will get you 10 extra spins with each £10 deposit (up to a maximum of 100 extra spins). Monthly Madness – At the start of each month, with your first deposit you can grab an extra 100 spins to play selected games. There are also regular table game promotions where you can enjoy free chips for playing roulette and blackjack. Check the site for the latest offers. There is a good selection of payment options available to customers at Slots Heaven. You can take your pick from standard debit and credit card methods, Visa and Maestro, as well as eWallet solutions including Paypal, Neteller and Skrill. There is also the mobile-friendly BOKU option. 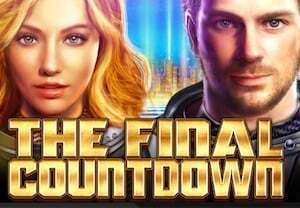 Withdrawal times at Slots Heaven are a little longer than at other casinos we have tried – they can take up to 72 hours. We recommend that to speed up this process you verify your account as early as you can after registration. Contact the support team (available 24/7) to find out how you can do this. Slots Heaven have a good support set up with the team available 24/7 through Live Chat, Email and via Phone. Slots Heaven is part of the Mansion Group of casinos, which has a relatively high profile in the UK thanks to sponsorship deals with top Premier League clubs. They are licensed by the UK Gambling Commission and the Gibraltar Regulatory Authority, who both administer highly regarded jurisdictions. This gives you peace of mind that the games and the platform are fair, safe and secure.